Can I Replace My Cabinet Doors? Not happy with your current kitchen? Looking for something more modern or functional? Many times, homeowners are motivated to undertake a full kitchen remodel based on one simple reason—a tiring of their existing kitchen cabinets. A full kitchen remodel takes time and money, two commodities that compete for people’s attention every day. So, what if there were another option to give your kitchen a makeover without the inconvenience and hefty price tag? Desirable Kitchens & Refacing, located in the South Hills of Pittsburgh, PA, has been going providing Pittsburgh clients with a less expensive and less time-consuming option called cabinet refacing. Cabinet refacing entails the removal of drawer faces and doors and installation of new ones. Your existing cabinet boxes remain intact and veneer is added to them during refacing. There are many possibilities to turn your existing space into the kitchen of your dreams. But first, you will need to evaluate the condition of your current kitchen cabinets to see if they are a candidate for cabinet refacing. The two main areas to consider prior to choosing cabinet refacing are the condition of your existing cabinets and their current functionality. The condition of Cabinets – Are your cabinets structurally sound? If yes, then refacing your existing cabinets will save you time and money. If your kitchen cabinet boxes, doors or drawers are in poor condition, refacing will not correct the problem. You will need to remove the existing cabinets and entirely replace them, which is considered a full kitchen remodel. Often, if your cabinets are older, they are more structurally sound than ones installed in the past two decades. Solid hardwood face frames are excellent candidates for refacing as the veneer adheres better to the wood and they can solidly anchor new doors. Functionality of Existing Cabinets and Drawers – Are you pleased with how your cabinets and drawers currently function? Do your cabinets have enough shelving and storage? Do your drawers operate smoothly? If you have answered yes, then cabinet refacing is the way to go. If you said no, then refacing may not be the most cost-effective solution for you and a full kitchen cabinet remodel may be the best answer. Consider incorporating a different texture, such as beadboard, when refacing your kitchen cabinets. It can provide a “homey cottage kitchen” look and feel, while never going out of style. If you like the style of your cabinets, but need a change of color, your options are endless. Veneers come in a variety of colors and wood stains. Changing cabinet colors is a simple way to change the entire appearance of your kitchen. Today, hinges are not just hinges. With the new hinge technology of today, you are sure to notice a difference as your cabinets will close completely and quietly with a soft, slow-motion. Additionally, hinges are now available in a variety of colors and styles to match your taste. 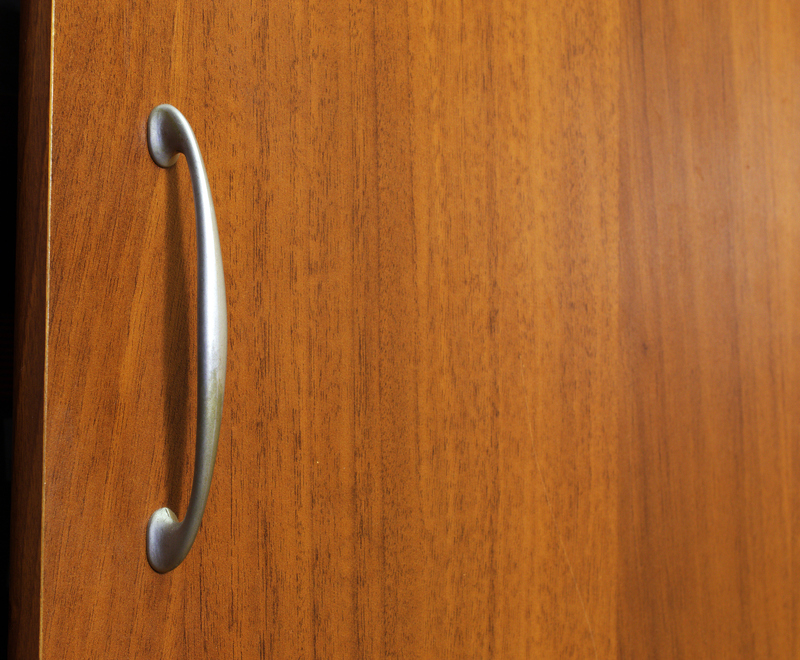 While deciding on new hinges, consider the many design possibilities available for handles, drawer pulls and moldings. New hardware is a quick, easy and affordable way to transform the overall look and feel of your kitchen. Kitchen cabinet refacing is an excellent choice for homeowners wanting the look of a full kitchen remodel without changing the layout. With proper research, planning and a reputable kitchen remodeler by your side, you will be able to create the kitchen of your dreams in the most cost-effective and least-disruptive way for your household. For years, Desirable Kitchens & Refacing has been transforming kitchens in the Pittsburgh and surrounding areas. Our cabinet refacing team has the right solution for every customer – every time! We work closely with you to find the most cost effective and time efficient way to upgrade your kitchen, while adding value to your home. For a free consultation or more information, please call 412-515-0582.